This paper will attempt to cover the basics of comparing and contrasting ancient Roman construction vs modern Roman construction. The modern Romans have the additional factors of the existing structures to deal with when planning projects. The construction of the Metro Linea C is a great example of such additional factors since the engineers need to build around and under existing structures such as the Colosseum. Around 20 BC, a Roman military engineer and architect named Marcus Vitruvius Pollio wrote De Architectura, which is more commonly referred to as the Ten Books on Architecture(an excerpt of this book can be seen in Figure 2a). His book covers practically everything there was to know about Ancient Roman architecture and his book is also one of the few surviving sources on classical architecture. 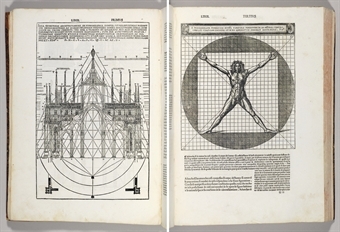 In De Architectura, Vitruvius covers topics such as the materials needed to build certain structures (and the way in which such materials could be created), water supplies and aqueducts, the many ways science has influenced architecture, etc. Vitruvius made it clear that any structure built needed to be “beautiful, stable, and useful”‍[2‍]. To Vitruvius and probably to the other ancient Romans that lived in that time period, architecture was a form of art. Architecture needed to not only take into consideration the physical surroundings of the people, but also the relevant intellectual and philosophical concepts. For example, in Book II Vitruvius suggests that engineers and architects fully grasp Socratic concepts and theories in order to really create valuable work and to completely understand how and why their designs will come to life. Vitruvius wrote very specific details as to why and how certain structures should be built. For example, in Book V, Vitruvius explains the purpose of a forum and how they should go about constructing them. Chapter 1 begins with the claim that Roman forums would be used for gladiatorial shows and follows with the suggestions that “the size of a forum should be proportionate to the number of inhabitants” and that balconies should be incorporated in order to “…bring in some public revenue” . Furthermore, in Chapter X, Vitruvius proceeds to write instructions on why, how, and when to build baths. Baths were public spaces used by the romans not only to bathe, but to play sports, exercise, and even watch opera and concerts. Vitruvius specified that the rooms for the hot baths should be “…lighted from the southwest…” and that the hanging floors should be constructed with the ground being covered with tiles with an area of approximately 1.5 feet squared and topped with pillars made up of bricks that are set two foot tiles away from each other. Ancient Romans had an abundance of land to work with, especially during 117 AD when the Roman Empire reached its peak encompassing over five million square kilometers of land. With a growing population, it was necessary to start planning and designing structures that would help provide better service throughout the entire empire. For example, ancient Romans understood that adequate water supply was vital so they started to design aqueducts, wells, cisterns, and many more structures. In Book VIII of De Architectura, Vitruvius provides instructions on how to survey for water sources, how to test for ‘good’ water, and how to construct an aqueduct. He writes that water derived from masonry conduits, baked clay pipes, or lead pipes would be collected in central tanks; from those tanks, pipes will be used to supply water in public baths, private homes, basins, and fountains. Aside from these practical and innovative structures, ancient Romans also took the time to plan and design structures that were simply just to boast of specific victories and achievements . 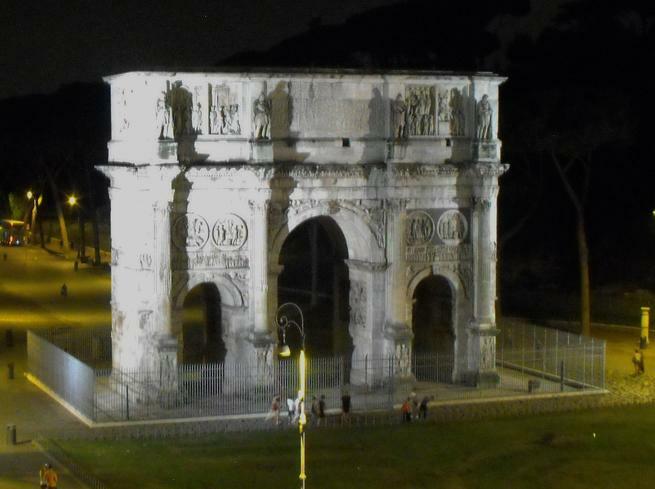 The Arch of Constantine is a prime example of a marvelous structure that is technically not physically used in everyday. It was erected 312 AD by the Roman senate and it was officially dedicated in 315 AD to Constantine to celebrate his triumph in the ‍Battle of Milvian‍ Bridge. This arch was constructed to be a part of the Via Triumphalis – the specific route taken by triumphant emperors and warriors. Roman engineers designed the arch to have three archways and to be decorated with several illustrations of Constantine and his numerous deeds. Today, it is not possible for vehicles to go under and through the arch. Modern Roman engineers have a more difficult time in planning and designing new structures or even just improvements on existing structures. Rome is a very complex and populated city and it is also home to some of the oldest ancient ruins in the world. Structures like the Colosseum and the Pantheon have stood against the test of time and remain in-tact and standing thousands of years after construction. 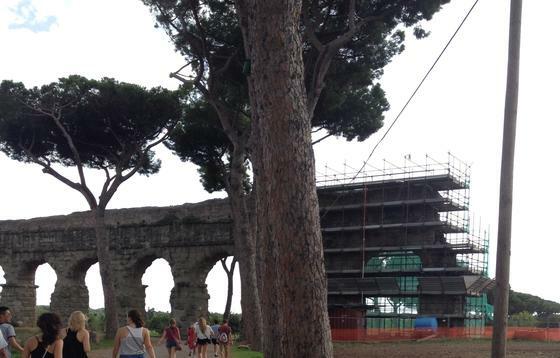 Instead of being able to‍ simply survey an open area of land‍, modern Roman engineers have to literally work around or under all the ancient ruins. Instead of building new structures altogether, modern Roman engineers seem to just work on improving or covering up the structures that the ancient Romans built. For example, a majority of the roads in Centro Storico‍ ‍are made up of sampietrini‍ ‍and provide an extremely uneven surface for drivers and pedestrians. These ‍sampietrini roads have been in use for over 2,000 years ‍and although the tourists love the authenticity these roads give to the city, the uneven surfaces have been quite a menace to native Romans. The roads cause noisy and uncomfortable transportation; the wheels of cars and buses hitting the stones produce a loud drumming noise and the buses also rattle extensively throughout the city. Moreover, the rattling of all the vehicles on the stones could potentially damage neighboring ancient ruins and sites. 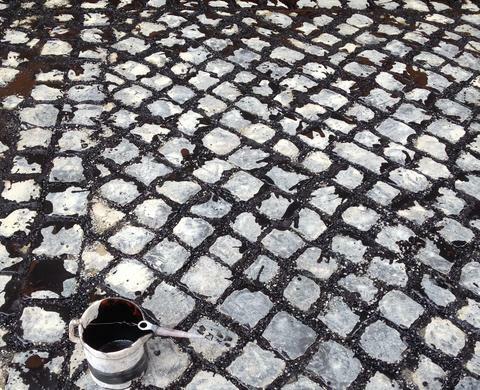 Instead of replacing these ancient Roman roads with different stones, Roman engineers ‍today are working on just removing the cobblestones from the busier streets and paving the roads with tarmac and asphalt‍ . In order to keep some of the ancient Roman authenticity, the stones in Piazza Venezia (‍the square that connects the Colosseum and the Forum‍) will stay. In addition to the limitations in constructing new structures, modern Roman engineers also have to constantly be accompanied by archaeologists whenever they are excavating new sites. The archaeologists are there to make sure that the engineers do not damage any of the ancient ruins and they are also there just in case new ancient artifacts are discovered. The presence and need for archaeologists results in major delays in construction and production time; when an ancient artifact is discovered, construction is paused so that the archaeologists can determine the significance of the artifact and determine whether or not to put it in museum, re-bury it, or even destroy it altogether. 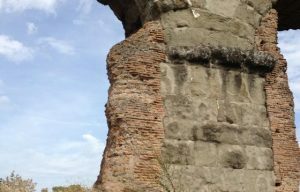 Ancient Romans used fired bricks for their structures and their bricks were stamped with the names of the current emperor when produced as a way to represent the date of production. In Book II of De Architectura, Vitruvius advises that brick used for construction be made up of white/chalky clay or red clay. Both white and red clay were claimed to be very light and very durable which were two beneficial characteristics because they enable easy transportation and handling. Vitruvius also explains that bricks should be made in either spring or autumn to get the best results. Creating the bricks during these two seasons ensures that they dry completely and correctly. Bricks made during the summer usually dry too quickly externally and do not dry enough internally. Travertine is a yellow limestone derived from calcium carbonate, and it was a very popular material used in ancient Roman construction. It was capable of ‍resisting stress with limited strai‍n and so it made sense that it was commonly used in constructing arches. 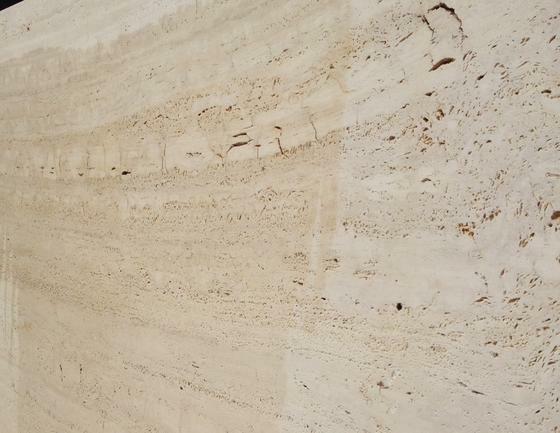 ‍Travertine was also used in constructing the Trevi Fountain and for the pillars and radial walls of the Colosseum. ‍Ancient Romans used travertine often because there was an abundance of this rock and it was also easier to‍ remove and carry than other rocks such as marble‍. Marble is an expensive and very elegant stone that was a direct result of the metamorphism of limestone. The extravagant stone was used in the Pantheon and in the construction of most sculptures and statues. ‍Marble was also used in constructing the Arch of Titus‍. In Book VII of De Architectura, Vitruvius explains that ‍marble ‍could also be used in stucco (a plaster used to coat wall surfaces). Broken pieces of marble are ground up and sifted in order to make fine and smooth stucco. The golden ratio (indicated by the Greek letter phi Φ) has an irrational value of 1.6180339…. The golden ratio is the ideal ratio a structure’s dimensions should have in order to be the most visually appealing. The golden ratio involves separating a single segment into two, A and B, then A/B = (A+B)/A ≈ 1.618. Although the exact date of discovery and application of the golden ratio is unknown, it is evident that this ratio has been used by many artists, designers, engineers to obtain seemingly perfect symmetry and proportions for thousands of years. Some scholars believe that the Egyptians incorporated the golden ratio into the construction of their Great Pyramids. However, Vitruvius was the first to actually mention the concept and write the ‘formula’ for the golden ratio. One of the most famous examples of the golden ratio is Leonardo de Vinci’s “Vitruvian Man.” This drawing measures a golden ratio of 1.62 throughout the entire body. The method of building dry stone walls literally means using dry stones without any type of mortar to hold or bind them all together. The stones are just stacked up on top and against one another without any sort of support . Vitruvius offers multiple suggestions on strengthening walls built with the dry stone method; instead of mindlessly stacking stones together, he suggested to place blocks alternately with either the longer or shorter side on the face of the wall. Even after the ancient Romans developed a strong mortar using limestone and pozzolan, they continued to construct walls using the dry stone method. 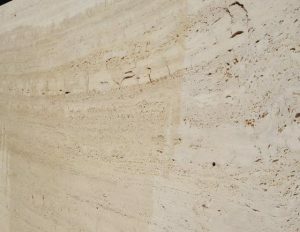 Travertine is still commonly used today; slabs of this stone can be used for interior design purposes. For example, someone could request to have their bathroom walls or floors consist entirely of travertine, there are also several pieces of furniture available that incorporate huge amounts of travertine – the Travertino Cava has a few pieces of travertine furniture that they will soon sell to their clients. In order to remove travertine from its quarries, engineers need to drill holes into the travertine and a diamond cable is looped through the holes to cut the stone. The diamond cable and the stones need to be constantly be lubricated with water to prevent extreme temperatures that might damage the stone and/or the cable. After the stone is extracted (this process could either take a few hours or a few days depending on the size and density of the travertine being extracted), the resulting slabs are then broken up into smaller pieces that are easier to handle. These slabs are then taken inside the factory where more engineers decide how to cut and split them. Engineers have the options of using either a guillotine or diamond saws to cut the slabs depending on what it will be used for and/or their clients’ requests. Instead of using travertine for enormous structures, modern Roman engineers use travertine mainly for flooring and wall-cladding. Portland cement is the most common form of cement being used today, it is known to be a ‍weaker and less environmentally-friendly version of Roman concrete‍. It is commonly used as an ingredient for making mortar, stucco, and concrete. The production of Portland cement (which is missing the vital Roman ingredient: pozzolan) contributes to about 7% of the carbon dioxide released into the atmosphere . In order to produce Portland cement, limestone needs to be burned at about 2642 degrees Fahrenheit while Roman concrete only requires limestone to be burned at about 1761 degrees Fahrenheit. Furthermore, Portland cement is less resistant to water damages with a lifetime of only 50 years when exposed to seawater; whereas Roman concrete structures exposed to seawater have survived over two thousand years. Even with the recent discovery of the secret ingredient to Roman concrete (pozzolan), it is impractical and impossible to replace all the Portland cement being used today because the world currently uses about 19 billion tons of Portland cement a year and there is simply not enough volcanic or fly ash left to produce an adequate amount of Roman concrete. As mentioned earlier, it is a little bit easier for modern Roman engineers to simply work with the current ancient ruins and try to preserve or restore them rather than building entire new structures because space is limited and there are extra laws that engineers need to abide by when trying to accomplish any sort of project near any ancient ruin. 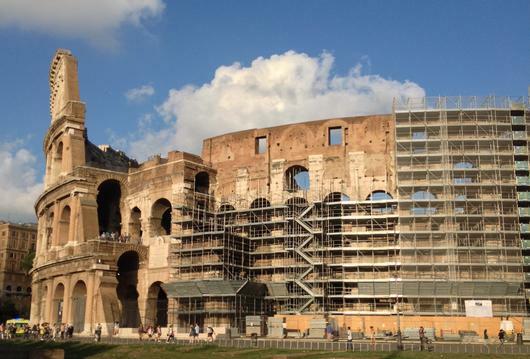 That being said, scaffolding is a very common sight in Rome today. Scaffolding is essentially a structure placed on the outside of a building that is used by workers while they clean or repair the building. As of right now, scaffolding can be seen on ancient structures such as the Trevi Fountain and the Colosseum; the Trevi Fountain has been surrounded by scaffolding since the summer of 2014 and it was originally scheduled to be completed by Fall 2015 but this date has been pushed back indefinitely. The Trevi Fountain is currently being restored, which basically implies that it is being thoroughly cleaned, the basin is being re-water proofed and the Latin inscriptions are being replaced. The Colosseum was also undergoing massive restoration; this restoration project involved not only the cleaning of the concrete exterior and the underground cells and hypogeum, but it also involved the construction of an entirely new tourist center just outside of the Colosseum. 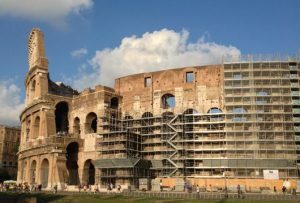 The ancient Romans figured that it construction would take longer if they were to specifically hire specialized or skilled engineers to oversee each step in construction projects. Rather than hire the most skilled and well-known engineers, the ancient Romans had an organized labor system. With the employment of hundreds of slaves and freedmen, the construction project was broken down into even shorter and simpler steps so that mass production was possible and practical. Having a larger amount of people working on a structure ensured faster construction . This organization of labor greatly benefited the ancient Romans since they did not have to pay huge amounts of money to professional engineers. In addition to choosing cheap and organized labor, ancient Romans also resorted to cheaper materials . Instead of constantly seeking the luxurious marble, they resorted to using marble only for extremely ‘important’ structures such as the Arch of Constantine and the Arch of Titus – technically, neither of these structures were vitally important to the communities, but these two particular individuals were wealthy enough and their deeds were deemed deserving of such extravagant structures to be erected in their honor. Since marble was reserved for luxurious purposes, ancient Romans used other rocks like travertine, limestone, etc. These rocks were abundant and easily accessible to ancient Romans since they did not have to travel very far to obtain them or trade with neighboring cities and countries (i.e, the ancient Romans would have to trade or travel to Greece in order to get some types of marble whereas in order to get travertine or limestone, they would have to just excavate an area nearby or buy locally). It was economically beneficial for the ancient Romans to be able to produce their own cement and concrete for their construction projects. They did not have to export any mortar or building materials; all they had to do was dig up some limestone and volcanic ash then they could easily produce their notoriously strong roman concrete. Along with the easy production of Roman concrete, it was also relatively practical for the ancient Romans to produce their own bricks instead of purchasing bricks from other cities or countries. With Vitruvius’ special brick-making instructions and the abundance of cheap labor, bricks could also be mass produced which inevitably led to faster construction of bigger structures. Modern Roman construction is relatively more expensive than ancient Roman construction. Cheap labor is nonexistent in modern Roman construction and it is no longer inexpensive or practical to produce their own materials. Instead of being able to hire hundreds of unskilled people, construction projects now require several professional, licensed engineers to oversee planning/designing and production. In addition to the engineers, construction projects in Rome typically require the presence of a few archaeologists in every step of the project. The archaeologists need to be there to help decide the method of digging through the sites near ancient ruins and they need to be there when the engineers actually start construction. Archaeologists need to accompany the engineers at every step because they need to ensure that the engineers do not damage any of the ancient ruins; they are also there just in case some new ancient artifacts are discovered. Their presence can be very costly; they have the authority to halt production if they find new ancient artifacts and think that they are of significant value and importance. These little delays can add up and completion dates of certain projects can be pushed back several months or even years. 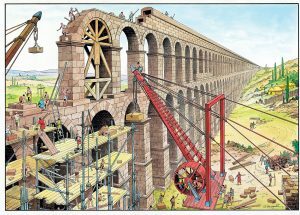 Modern Roman construction is also super expensive because the engineers need special machines to excavate sites near or under ancient ruins. T‍he ancient Romans would typically use horses or plain man-power in construction projects; in contrast, modern Romans have the advantage of using huge machines like cranes to help transport materials in construction sites and bull dozers and backhoes to dig up larger amounts of dirt. ‍These machines might imply faster construction but the possibility of running into more ancient ruins and the extreme efforts of preserving ancient ruins causes major delays in construction. 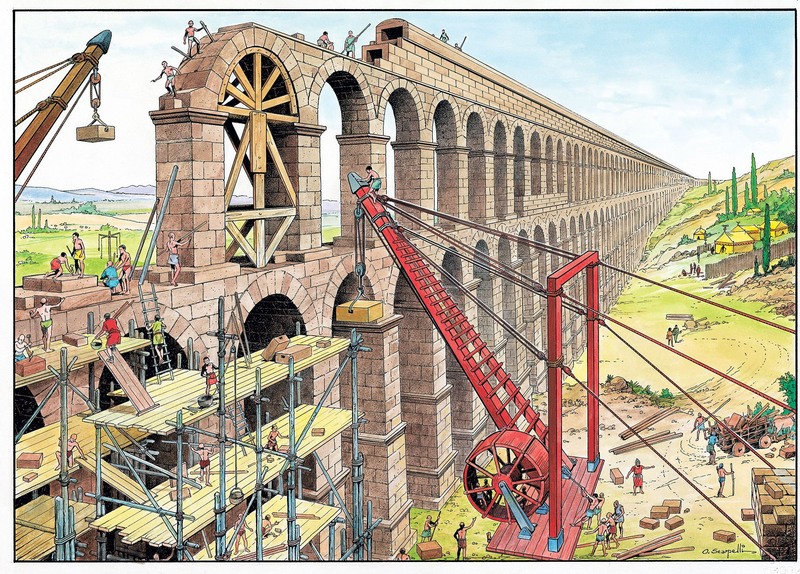 The combination of the expensive machines and more money spent on labor due to the delays in construction, it is evident that modern Roman construction has a bigger economic impact than the ancient Roman construction. The use of bricks in both ancient and modern Roman times has proved to be consistently economically beneficial and sustainable. The bricks are softer and lighter materials than stone and with the introduction of modern machines such as cranes, trucks, etc., it is even easier to transport large amounts of bricks to construction sites. Metro Line C will be the third subway line in Rome, the other two being Line A (also known as red) and Line B (also known as blue). The image above shows the three current subway lines and their intersections  Metro Line C will also be the first and only subway line to provide service through central Rome which is where all the ancient ruins and popular tourist attractions are concentrated. Metro Line C has the potential of being the busiest and most populated line due to its location in the busiest section of Rome. The entire line spans about 16 miles and majority of the line is underground, Line C is designed to provide transportation from the Colosseum/Forum to Trajan’s Market/Theater of Pompey to the Tiber River/Hadrian’s tomb. Line C construction is extremely difficult because the engineers have to be extra careful around the ancient ruins and there’s always a possibility of discovering new ancient artifacts while digging deeper and deeper into the ground . Archaeologists were required to examine the sites before construction even started and they’re required to stay during the entire process. Along with the archaeologists, this Metro Line C construction project also called for a Scientific Technical Committee (STC) to be on site as well – during both the planning period and the actual construction period. The STC provided ‘high-quality research’ in order to derive the best methods in construction around all the ancient ruins and fragile monuments. order to properly excavate the sites for Metro Line C construction, the engineers are using tunnel boring machines (TBM) and incorporating the cut and cover method‍. Tunnel boring machines help do a lot of the digging in these types of construction projects; these machines serve as an alternative to drilling and blasting by using discs and scrapers to excavate tunnels . The cut and cover method involves cutting trenches and then covering them up; a stable site is then created by driving piles on the sides of the trenches and placing beams and trusses for support. The cut and cover method causes roads to be temporarily destroyed and out of service but it is still technically a safe method and reduces the chances of ruining existing structures. Along with the TBM and cut and cover methods, there are a few techniques the engineers have used to treat the ground – specifically for the Colosseo/Fori Imperali station. Engineers can either treat the ground by freezing it or through injections. Ground freezing is necessary when the soil needs to be stabilized so that surrounding structures do not get damaged or fall apart in the excavation sites. The soil needed to be tested first before determining whether the ground freezing or the injection technique would produce optimal results. During the tests for the ground freezing technique, laboratory tests were performed on the natural soil (both thawed and frozen). The frozen ground tests lasted about sixteen days with varying temperatures (between 10 and 20 degrees Celsius) in order to obtain enough information regarding soil behavior and deformation patterns. Soil was also treated with injections of cement and other chemicals to “…verify the effectiveness of possible treatments for the consolidation and sealing of the soil.” These tests helped decide whether or not conditions were safe enough to continue excavations and to reduce any impact inflicted on the ancient ruins. After treating the soil through the ground freezing and injection techniques, engineers were able to determine the average consumption of nitrogen in the frozen ground, the lifting maximum (2 mm away from the exact site), and the lowering maximum (5 m). Modern Roman engineers understand the complications that come with the Metro Line C construction; they understand that they need to be extra careful around ancient ruins and they need to be on the lookout for new ruins while digging deeper into the ground. Normal subway lines would have tunnels about 30 feet below street level with diameters of about 20 feet, but Metro Line C is not just another subway line. As an effort to avoid the ancient ruins, Roman engineers have decided to dig their tunnels 90 feet below street level – that is about three times deeper than any tunnel. The engineers also decided to dig tunnels with diameters of 29 feet instead of the usual 20 feet. This wider diameter means that the subway lines can be easily pushed or pulled to the side to make room for unexpected archaeological discoveries. In regards to the construction of Metro Line C closest to the Colosseum, engineers have ‍inserted several supporting beams connected to the Colosseum‍. These supporting beams help reduce the chances of damage being done to the Colosseum due to the inevitable vibrations from the subway system. It also reduces the changes of damage being done to the Colosseum due to the vibrations of all the machines currently being used to dig the tunnels in the first place. When new ancient artifacts are discovered, production is stopped and archaeologists take their time to decide whether or not the artifact is valuable or significant. If proven to be significant, the artifacts would be transported to other archaeologists and historians who will decide where the artifacts end up. If proven to be insignificant, the archaeologists will usually take photographs of the artifacts before re-burying them or destroying them altogether. Roman Laws demand that every ancient artifact must be examined – this may seem like a waste of time and money, but there have been several valuable discoveries already made during the Metro Line C construction. In 2008, the engineers and archaeologists uncovered an underground chamber that was inscribed by the ancient Romans as the exact location where the she-wolf nursed and raised Romulus and Remus (the legendary founders of Rome) . In addition to this underground chamber, engineers and archaeologist have also discovered several tombs (in which they found the remnants of two children) and some ancient Roman imperial homes. The Metro Line C project is said to ‍cost ‍more than three billion euros (which is currently equal to approximately three and a half billion dollars) but it is possible for the cost to increase due to the major setbacks the project is experiencing. As more time is spent on uncovering new artifacts, more money is being wasted. Metro Line C construction started more than a decade ago and it was originally scheduled to be finished and running by 2015; however, due to all the archaeological discoveries, the completion date has been pushed back indefinitely. Some sources say it is scheduled to be finished by 2018, others say 2020; it is still very likely that the completion date will occur even later than those predicted dates. “Vitruvius Pollio.” Complete Dictionary of Scientific Biography. 2008, James Stevens Curl, “Vitruvius (ca, “Vitruvius.” The Columbia Encyclopedia, 6th Ed.. 2015, “Vitruvius.” World Encyclopedia. 2005, Elizabeth Knowles, “Vitruvius.” Complete Dictionary of Scientific Biography. 2008, and “Vitruvius.” Oxford Dictionary of Rhymes. 2007. “Vitruvius Pollio.” Encyclopedia.com. HighBeam Research, 01 Jan. 2008. Web. 04 Dec. 2015. Cartwright, Mark. “Vitruvius.” Ancient History Encyclopedia. N.p., 22 Apr. 2015. Web. 17 Sept. 2015. “The Battle of the Milvian Bridge.” The Battle of the Milvian Bridge. N.p., 10 Oct. 2012. Web. 04 Dec. 2015. Willey, Jackie. 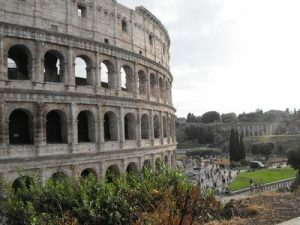 “Cobblestone Roads in Rome: The End of a Very Long Era.” Italy Travel Guide Tips Reviews Blog Vacation Advice. N.p., n.d. Web. 17 Sept. 2015. “Ancient Roman Concrete Is About to Revolutionize Modern Architecture.” Bloomberg.com. Bloomberg, n.d. Web. 17 Sept. 2015. “An Elementary Course of Civil Engineering.” Google Books. N.p., n.d. Web. 04 Dec. 2015. “Marble.” Wikipedia. Wikimedia Foundation, n.d. Web. 04 Dec. 2015. Cartwright, Mark. “The Arch of Titus, Rome.” Ancient History Encyclopedia. N.p., 16 June 2013. Web. 17 Sept. 2015. Shafie, Amir A., and Md. Akhtaruzzaman. “Geometrical Substantiation of Phi, the Golden Ratio and the Baroque of Nature, Architecture, Design and Engineering.” N.p., n.d. Web. 16 Sept. 2015. “Construction Techniques in Ancient Rome.” Construction Techniques in Ancient Rome. N.p., n.d. Web. 17 Sept. 2015. Yang, Sarah. 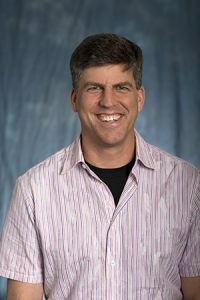 “To Improve Today’s Concrete, Do as the Romans Did.” Berkeley News. N.p., 04 June 2013. Web. 17 Sept. 2015. “Ancient Roman Architecture.” Wikipedia. Wikimedia Foundation, n.d. Web. 16 Sept. 2015. “History of Construction.” Wikipedia. Wikimedia Foundation, n.d. Web. 12 Sept. 2015. Wilson, Andrew. “THE ECONOMIC IMPACT OF TECHNOLOGICAL ADVANCES IN THE ROMAN CONSTRUCTION INDUSTRY.” N.p., n.d. Web. 12 Sept. 2015. “Italy Trains, Tickets and Timetables – Thetrainline Europe.” Thetrainline Europe. N.p., n.d. Web. 04 Dec. 2015. Faris, Stephan. “Rome’s Developing Subway.” Travel + Leisure. N.p., 14 Apr. 2009. Web. 18 Sept. 2015. Wilson, Tracy V. “How Subways Work.” HowStuffWorks. HowStuffWorks.com, n.d. Web. 15 Sept. 2015. 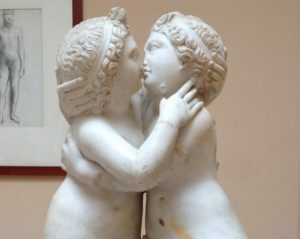 “Rome’s Subway Workers Unearth Archaeological Treasures.” Rome’s Subway Workers Unearth Archaeological Treasures. N.p., 01 June 2008. Web. 18 Sept. 2015. “Roman Engineering.” Wikipedia. Wikimedia Foundation, n.d. Web. 16 Sept. 2015. Szasz, Colin. “The Influence of Roman Engineering and Architecture.” The Influence of Roman Engineering and Architecture. N.p., n.d. Web. 16 Sept. 2015. Lambertucci, Filippo. “DIGGING IN THE PAST Archaeology as a Resource for Rome Underground Transit.” DIGGING IN THE PAST Archaeology as a Resource for Rome Underground Transit. N.p., n.d. Web. 17 Sept. 2015. “Ten Books on Architecture.” – Wikisource, the Free Online Library. N.p., n.d. Web. 17 Sept. 2015. Wikipedia. Wikimedia Foundation, n.d. Web. 17 Sept. 2015. “The Stones of Rome.” The Stones of Rome. N.p., n.d. Web. 18 Sept. 2015. This entry was posted in Architecture, Art History, Roman, Russia. Bookmark the permalink. ← Can Rat Bones Solve an Island Mystery?